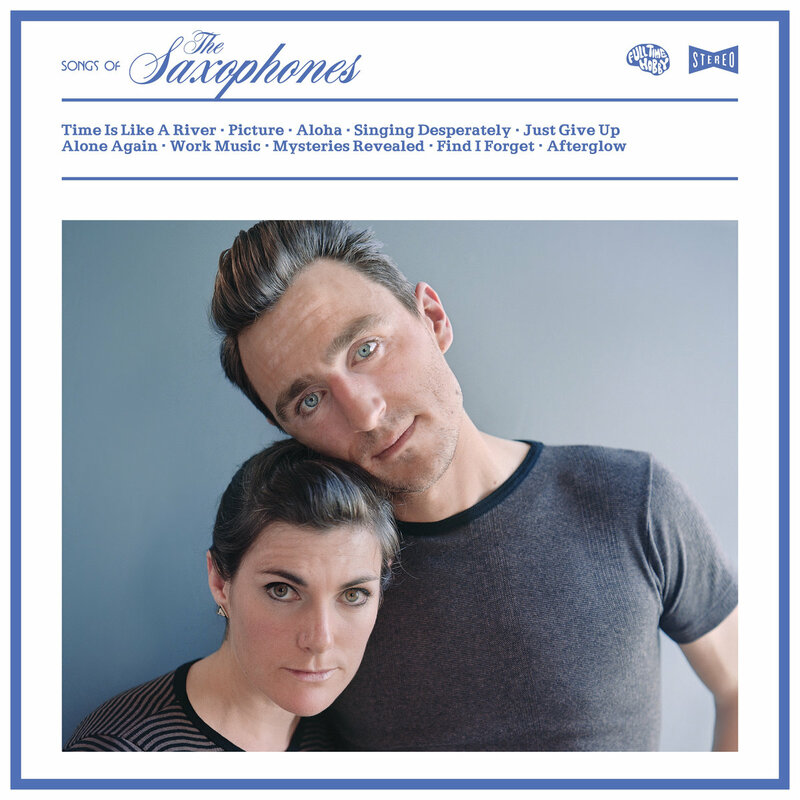 With their blend of ‘50s pop and woodwind flourishes, The Saxophones expertly create soundscapes that illicit feelings of immense sincerity and beauty. 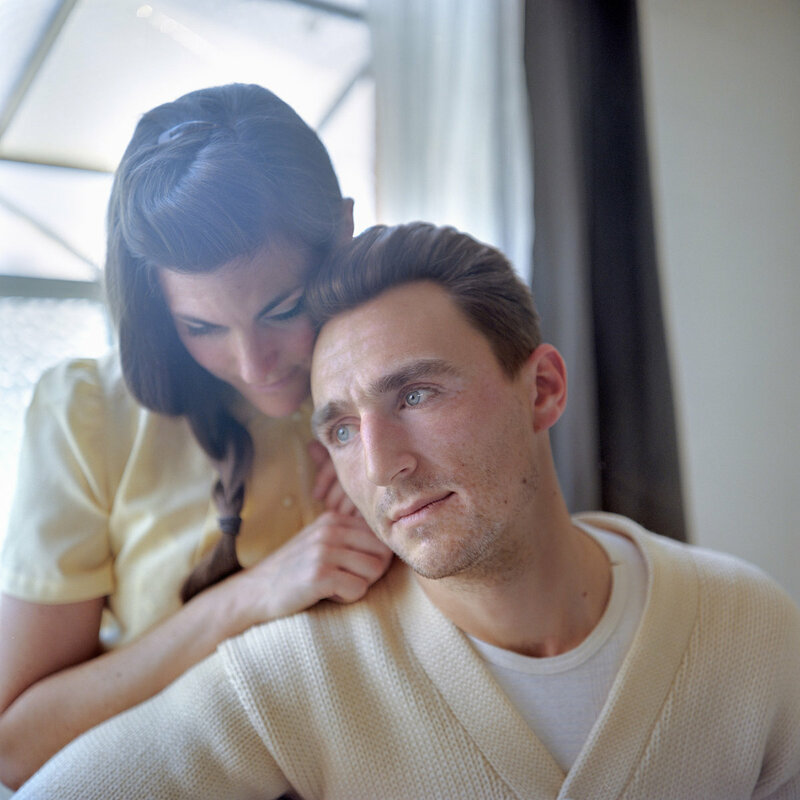 The California husband and wife duo Alexi Erenkov and Alison Alderdice are masters at their craft. They create these airy and hypnotic soundscapes that invoke feelings of nostalgia while still retaining a footprint in the present. Their effortless triumphs at blending worlds together make their sound all the more notable and alluring. Together they are The Saxophones, and their matter-of-fact titled debut, Songs of The Saxophones, is a welcomed breath of fresh air in the music sphere of today. Released via Full Time Hobby, Songs of The Saxophones is the follow up to their EP If You’re on the Water. Recorded over a span of two years, their debut is an exploration of relationships, society, and of uncertainty. One would be hard-pressed not to find themselves reflecting on their own life upon listening. With a blending of vintage ‘50s pop ballads and dreamy, subtle woodwind flourishes, The Saxophones have an interesting sound that is wholly theirs. It’s soft, melancholic, and not to be blasted loudly. Their music sits with you, with each track of theirs floating around the listener like a gentle phantom. It’s equal parts sweet and haunting. The opening track, “Time Is Like A River” encapsulates those feelings to a T. It is a meditation on our perception of what time is. The track begins with a steady guitar melody and soon is accompanied by a flurry of woodwinds that aid in establishing the scene. The hushed vocals of Erenkov are beautifully accentuated with a subtle implementation of the percussion beats and samplers in the background. The track serves as a great opener to the listener, giving them all of the clues necessary to picture the musical journey the album will bring them on. 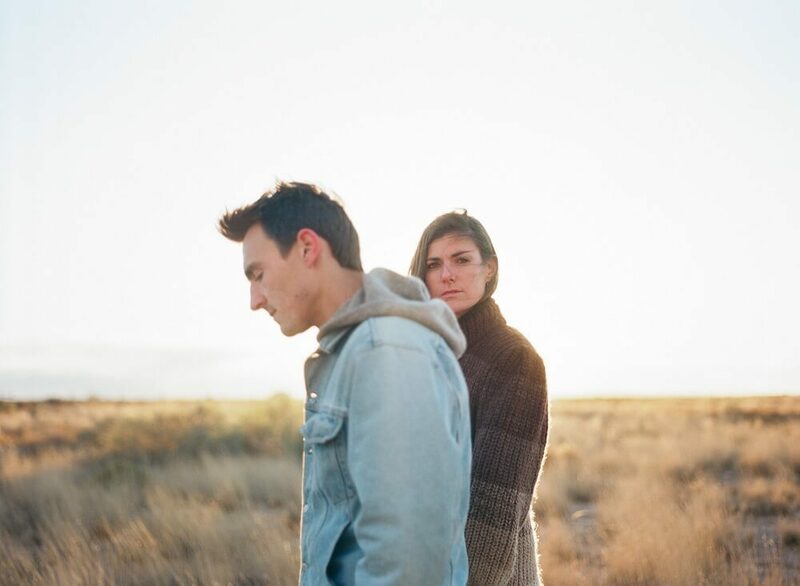 With the track “Aloha,” the duo journeys into the paradoxical realm of finding one’s self while touching on the impact the people of the world (them included) have as they explore lands foreign to them. A stylish guitar tempo is created at the track’s start which is carried throughout. There are also snippets of samplers, percussion, and woodwinds throughout the song, but the main draw is the vocal work and the tale that is being unfolded. It’s brooding, yet poignant, and is gorgeous all the same. Continuing with the brooding tales of humanity, the halfway point of the album lands on the track “Just Give Up.” The moral of which is exactly as the title says. Perhaps not a total apathetic anthem, but maybe just a suggestion that a break is a valid option for when the items in one’s life aren’t behaving the way they should be. The track is also one of the more diverse ones on the album with hints of saxophone, synths, and arpeggiated guitar and bass playing. It’s almost ironic in a way – one of the sweeter tracks on the albums contains one of the more somber messages. A charming oxymoron in every way. Towards the album’s close, the track “Mysteries Revealed” bring out gorgeous harmonies with flutes, percussions, and a slick bass line. The combination of which makes for one of the more whimsical tunes, but as shown with prior tracks, not everything is as it seems. How could I not notice the depth of the pain? How could I not change? The mysteries that are revealed are not what our protagonist had hoped for, and the melody has a way of showcasing it. There’s a sense of romanticism with it but still tinged with sadness. Those feelings are brought out visually with the music video for the track. Directed by Connor R. Burke, the video shows the band in a home simply playing their instruments, but the story is told through their facial expressions. More and more of the story is told through the gazes of each member, almost as if with each lyric more is revealed that ultimately leaves them with mixed emotions, unable to comprehend what they mean at that moment. The Saxophones have a sound that is reminiscent of island tunes from the past with a modern twist. The placid tone of the album almost acts like a mask because behind it lies lyrics that are full of dismay and unwelcomed truths. However, the melodies crafted bring about romance – they’re stylish, meditative, and intimate. A bittersweet and introspective journey, Sounds of The Saxophones is a debut that showcases the very best the band has to offer, and we at Atwood Magazine are looking forward to seeing what else they’ll create in the future.